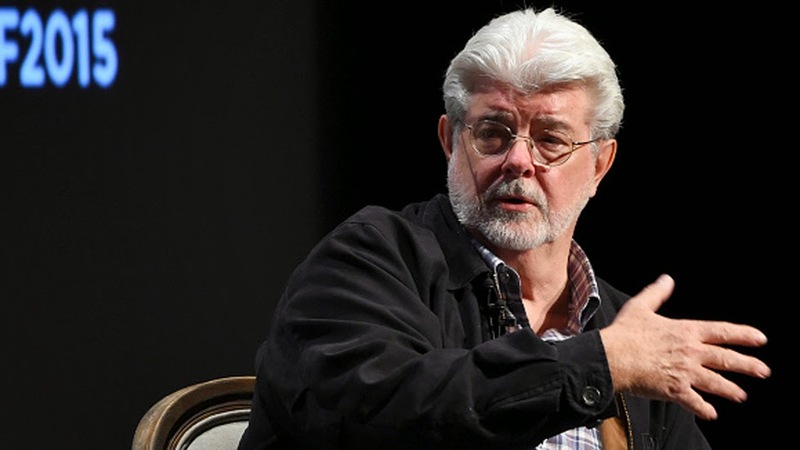 George Lucas Explains His Sequel Trilogy Treatment Featured Children "In Their 20s"
"The original Saga was about the father, the children, and the grandchildren. That’s not a secret to anybody, it’s even in the novels and everything. The children were in their 20s and everything, so it wasn’t The Phantom Menace again." Let's be clear about this. This is not Lucas "responding" to the rumors. This is something Lucas said weeks before the Vanity Fair article which suggested his treatments were about little kids. I also find it very telling that there are no actual quotes from JJ Abrams, Kathleen Kennedy, Lawrence Kasdan, Bob Iger, or anybody close to the production actually quoted saying that. The only person who we have a quote from is Lucas and the quote was several weeks old when the story began being circulated. Clearly there was some miscommunication somewhere that led to this false rumor being started. What's so important about this /now/? I rely on Dominic for due diligence. Thank you for this! "What's so important about this /now/?" It IS important because of the lies spread by Vanity Fair and other publications that the reason why disney didn´t use his ideas for VII-IX was that he wanted the main characters to be teenagers, which obviously isn´t true. Not the mention that people already use it as means of bashing him once again. THIS BULLSIT NEEDS TO STOP! Don't worry about it I believe in the End Abrams will honor lucas Vision as best he can. After all he is a man who knew the last move in the chess game and remembered Hans DICE.